W tower with a nice timbered top in the Welsh border style. Nave and chancel. The aisles are under one roof with the nave. Lancets in tower and chancel, i.e. E.E. 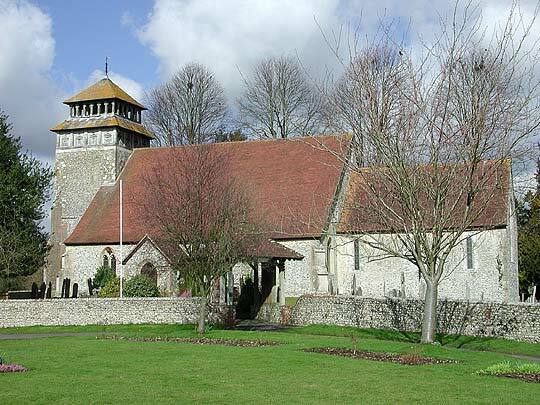 (Early English of 13th century). 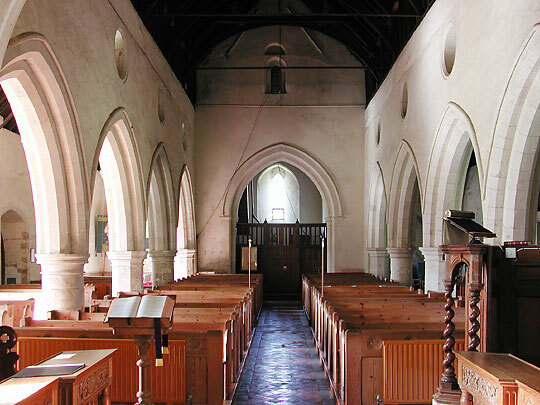 Good interior of nave and aisles (view to west). Four-bay arcades E.E. 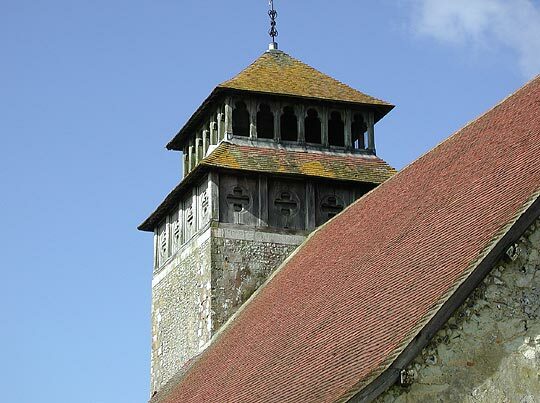 Alternatingly round and octagonal piers. Double-chamfered arches. 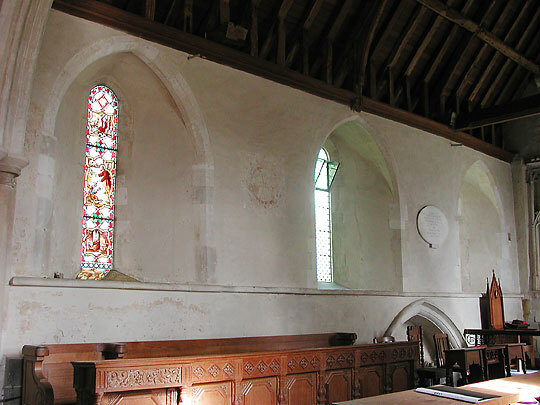 Above, now inside too, the former clerestory, the windows quatrefoils in circles. 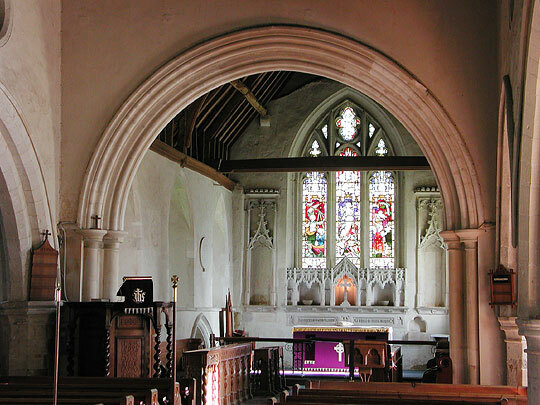 The chancel arch is almost entirely C19. 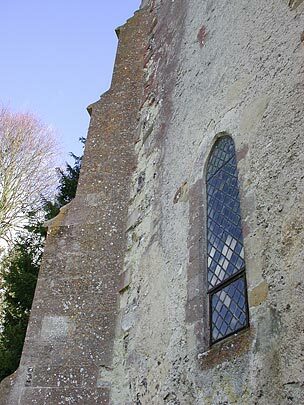 The north side of chancel has Early English lancet windows (13th century). Low tomb recess of early 14th century. 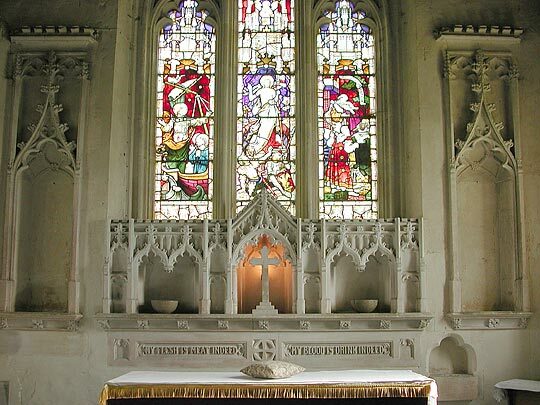 East end of chancel. 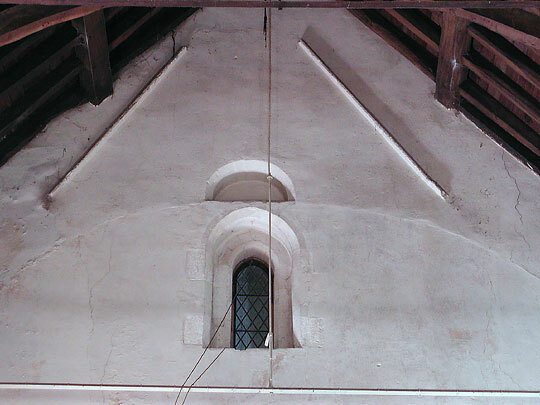 Small windows in west end appear to be Norman or transitional to Early English c. 1200. Font. Of Purbeck marble. Table type with flat arches.